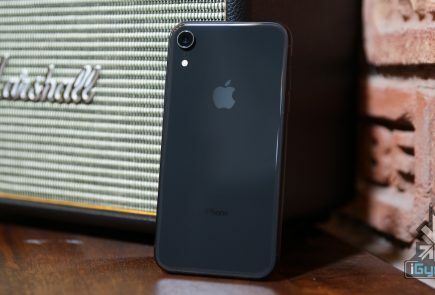 A new study says most iPhone users have updated to iOS 6, Apple’s latest operating system, despite a number of flaws that have plagued its launch. 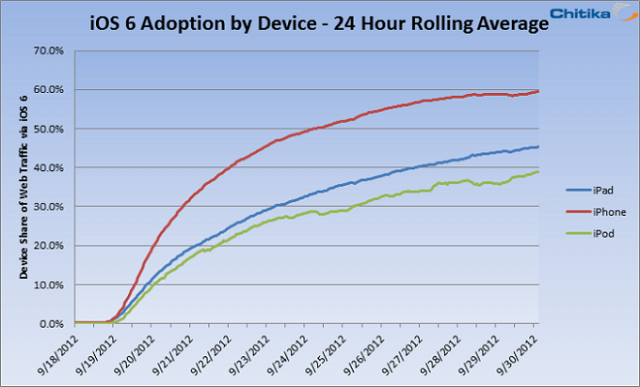 After only two weeks on the market, iOS 6 is running on over 60% of iPhones, 15% more than on iPads. Chitika, an ad network and analytics firm, put together the study. 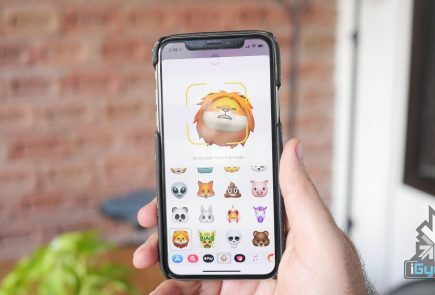 Apple is known for having fast adoption rates for its operating systems, but it wouldn’t have been surprising if iOS 6 bucked that trend after suffering from a plethora of problems that have embarrassed the Cupertino tech company since its launched. iPhone users are adopting iOS 6 faster than iPad or iPod Touch users, likely because most iPhones support the upgrade, whereas the iPad 1 and iPod Touches before the 4th generation won’t be updated past iOS 4 or iOS 5. 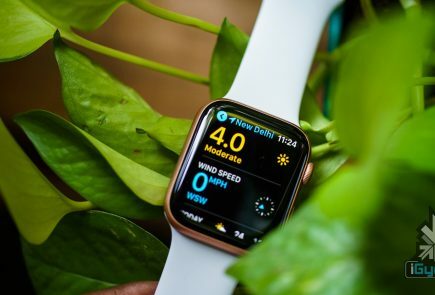 In particular, the iPad 1, due to its limited 256MB of RAM, was not able to update past iOS 5.1, leaving many owners angry that their first-generation product is now obsolete. 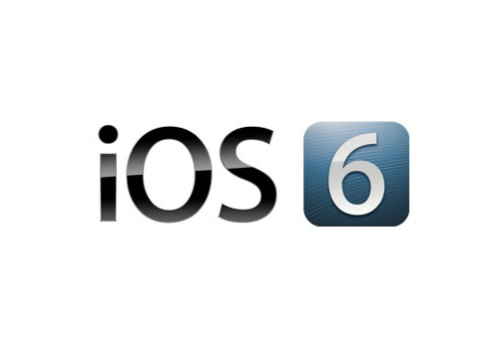 While most apps will still run fine for another generation or so on iOS 5, many developers will begin enforcing iOS 6 in the coming months.